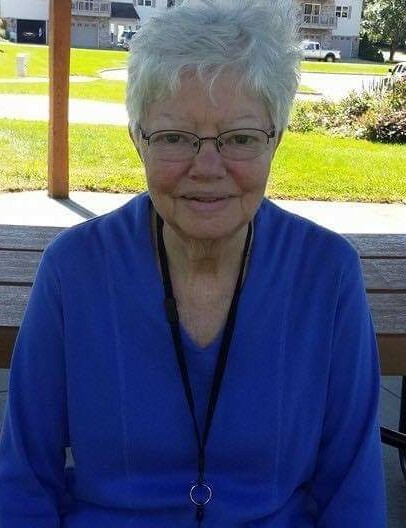 Lodi/Verona – Ruth Marie (Dettwiler) Olson, age 74, peacefully passed away on Friday, April 5, 2019 at Artisan Assisted Living in DeForest surrounded by her two daughters after a four year battle with Lewy Body Dementia. She was born in Madison, WI on December 4, 1944, the daughter of Alvin and Geneva (Martinson) Dettwiler. Ruth graduated from Mt. Horeb High School in 1963. She worked for AAA Wisconsin as an Insurance Specialist for 42 years. After her retirement, Ruth spent 8 years as a lunch lady at Stoner Prairie Elementary School in Fitchburg. Ruth loved her family, they were her world and greatest joy. She was preceded in death by her parents, brother, James Dettwiler; sister, Jean Hollnagel; and brother-in-law, Clifford Gust. A Funeral Service will be held at 11am on Thursday, April 11, 2019 at RYAN FUNERAL HOME, 6924 Lake Road, DeForest, with Hospice Chaplain Susan Greenler presiding. A visitation will be held at the funeral home on Wednesday, April 10, 2019 from 4pm to 7pm and again on Thursday from 10am until the time of service. A special thank you to the residents and staff at Artisan in DeForest, the staff at Heartland Hospice and special friends, Bill Mason and Duane Yahn for all their compassionate care and support. 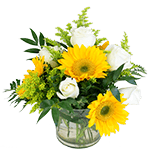 In lieu of flowers, memorials can be made in Ruth’s name to Heartland Hospice or the Lewy Body Foundation. To view and sign this guestbook, please visit: www.ryanfuneralservice.com.